Two of Jim Henson's earliest Muppets in most of the gloriously sadistic commercials that persuade you to drink Wilkins Coffee or die. 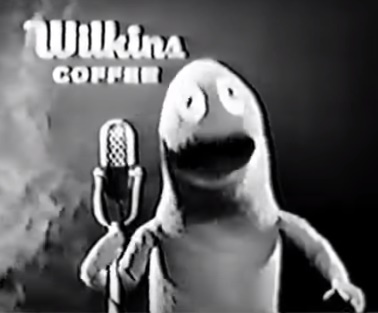 Wilkins and Wontkins would also be used for a variety of other brands, including Red Diamond Coffee. Recovered from Garrett Gilchrist's suspended Henson Rarities channel.